With Father's Day fast approaching, I'm sure, like me, you are wracking your brains to try to find the perfect gift. I find the women in my life a lot easier to buy for than men but I think you can never go wrong with a fragrance! 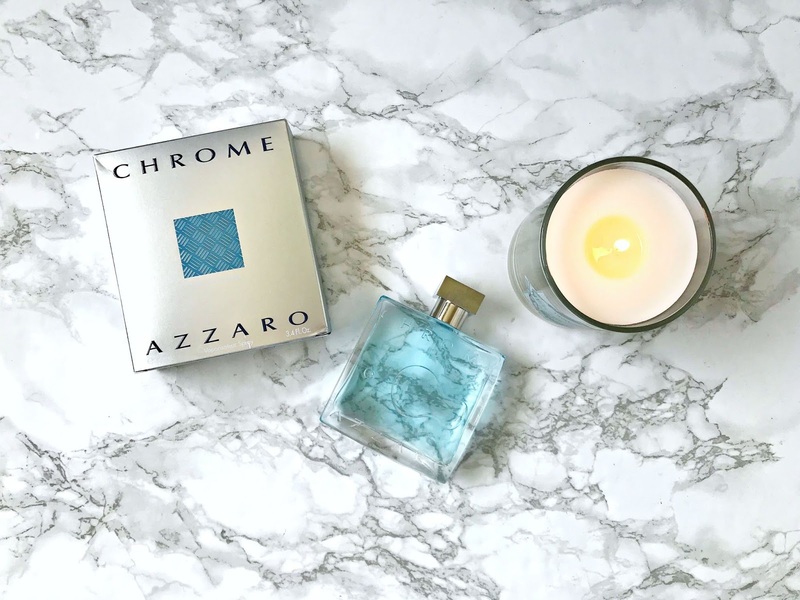 Today, I want to tell you about Azzaro Chrome, which is the perfect summer scent for men! Housed in a simple, but stunning, square bottle with slightly curved sides (which make it easier to hold) and a chrome cap, the blue colour of this eau de toilette immediately makes me think of summer skies and sea. The fragrance itself is fresh, citrusy, woody and aquatic all at once. The top notes include bergamot, neroli and lemon. The middle notes include cyclamen and oakmoss ad the base notes include sandalwood, musk and tonka bean. The combination of notes means that it isn't as sharp as a simply citrus scent but also not just another unidentifiable aqua scent. It's pretty long-lasting on the skin - my husband has been wearing Azzaro Chrome since I received it and I can still smell it on him around 7-8 hours after application. Because of how fresh and energizing this fragrance is, it's his number one choice to bring on holiday this weekend. It will make the ideal Father's Day gift because it also comes with a free wash bag this week! Available in 50ml and 100ml bottles. What type of gift do you like to give your father/other half for Father's Day? Do you think he's like a new fragrance? Don't forget to enter my Catrice giveaway here!